The British Equestrian Federation says experts remain of the view that it is not necessary to cancel equine events under its jurisdiction as a racing shutdown across the country continues. Racing across Britain has been cancelled until at least the middle of next week following an outbreak of equine flu affecting horses at a yard in Suffolk. Horses from the yard had travelled to three race meetings within a window which could potentially see a spread of the virus. The British Horseracing Authority (BHA) decided to shut down racing for several days until monitoring and testing could provide a more accurate picture on whether the virus had spread. In total, six horses have been confirmed as infected at the Suffolk yard. The BHA says analytical work is continuing, which involves testing of horses from the yards of several trainers across the country. Of the four horses from the Suffolk yard who competed at fixtures this week, one has returned a positive sample so far – Raise A Spark, who competed at Ayr on February 6. The test relates to a sample taken the following day, and the horse showed no clinical symptoms on race-day. The BHA is restricting the movement of horses on a precautionary basis at the yards of 120 trainers who competed at the three meetings attended by horses from the Suffolk yard. The British Equestrian Federation said its events were continuing at this stage: “The advice from our veterinary experts remains that it is not necessary to cancel other equine events as there is as yet no evidence of widespread infection. “However, we will continue to monitor this situation closely and will issue further updates as more information becomes available. “We continue to urge all horse owners to be vigilant and follow the recommended guidelines on how to detect and prevent the spread of this infectious disease. Signs of equine flu include a fever, cough, snotty nose, enlarged glands under the lower jaw, swollen or sore eyes, depression, loss of appetite and swelling in the lower legs. The airborne virus can spread up to two kilometres, depending on the environmental conditions, and can be easily transmitted between horses who are in close contact, such as attending events, group training and hunting, or between vaccinated and unvaccinated horses in the home yard. It is essential that any horses showing signs of possible equine flu, or horses that might have been in contact with possibly infected horses, do not travel to competitions or other events where there will be groups of horses. “If your horse has been in contact with an infected horse we suggest that you should take immediate veterinary advice,” the federation said. So far all of the viruses that have been isolated in Britain from cases have been identified as belonging to the Florida clade 1. There have been multiple outbreaks of equine influenza in Britain and Europe in recent weeks. Cases were reported in Northern France at the end of December, whilst positive diagnoses have been made in the first few weeks of 2019 in France, Belgium, Germany, Ireland and the Netherlands. Cases among vaccinated horses have been confirmed in Ireland, France and Belgium. There are links between recent Irish outbreaks and mainland Europe. France has confirmed an epidemiological link with Belgium in six of the outbreaks, either via horse movement for trade or competitions. The influenza research group in Europe confirms that the virus strain circulating in France belongs to Florida clade 1. This is the first identification of FC1 viruses in France since 2009. The virus circulating in Ireland has also been typed by the World Organisation for Animal Health (OIE) Reference Laboratory at the Irish Equine Centre as FC1. 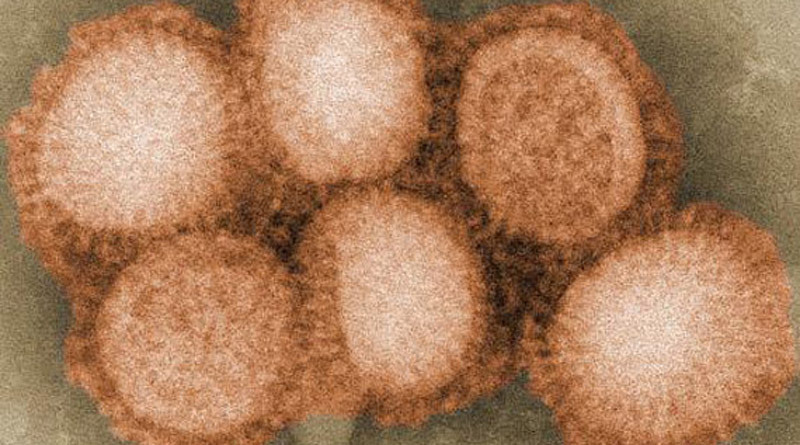 This is the first identification of a FC1 virus in Ireland since early 2010. There have been at least 20 confirmed cases in the Netherlands since mid-December. Meanwhile, the world governing body for horse sport, the FEI, has issued flu guidelines to the equestrian community following the European outbreak, as well as cases in the United States. “Vaccinating horses against equine influenza is key to combating the spread of equine influenza,” FEI veterinary director Göran Åkerström says. FEI veterinary adviser Caterina Termine said: “This year we are seeing a return of the Clade 1 virus in infected horses. “Vaccinated horses have suffered only mild clinical signs of the disease and recovered quickly, but unvaccinated horses have been much more severely affected. The FEI’s comprehensive question and answer document on equine influenza is available here.